I’ve been feeling a bit like a slacker mom since hearing my 6 year old tell me that her friends have been tying her shoelaces at school. We attempted some practice before the school year started, but it just wasn’t clicking for her. 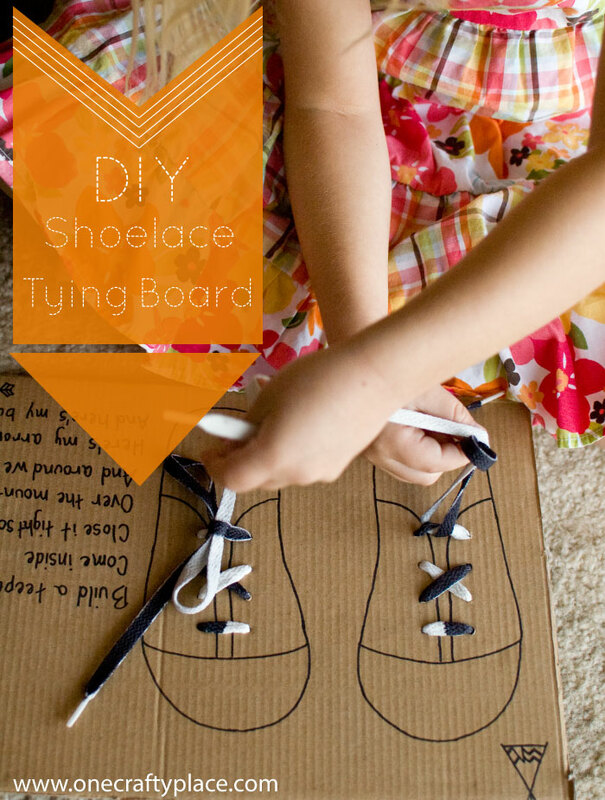 A quick search on teaching children to tie their laces brought me to two excellent resources: this shoe-tying practice board from Salsa Pie (via PBS Parents), and some great tips from Teach Mama. 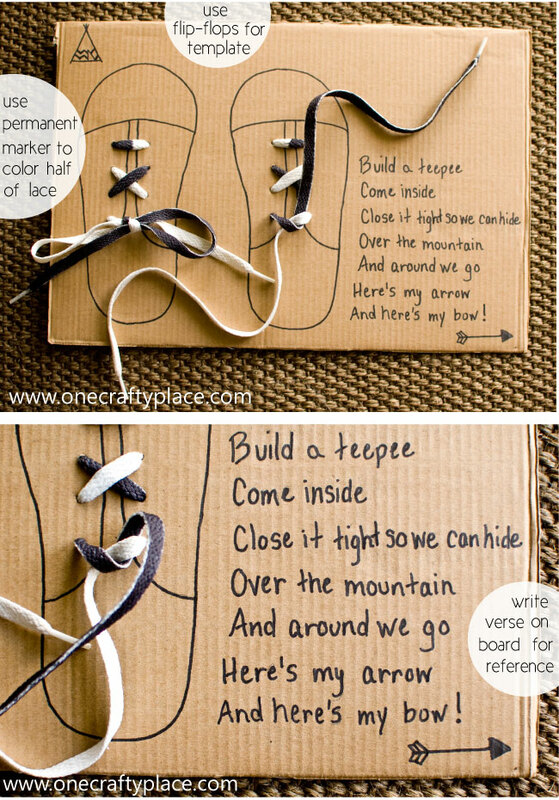 I loved the ease of flat cardboard to practice on, and I knew that having different colored laces would really help my kids to see which lace they were working with. I also wanted to find a simple verse to help them remember what to do next. There are quite a few here, and the one that I chose was short and not overly complicated (each line of the verse is a new step). But, even though it’s short and simple, I knew the chances of me remembering it while I was trying to teach them were pretty slim, so I went ahead and wrote the verse right on the box next to the “shoes”! And, since one lace had plenty of length for lacing and tying, I simply colored half of the lace with a black Sharpie. My 6 year old was clearly ready this time. We sat side by side, and I showed her step-by-step how to follow the verse to remember each step and SHE GOT IT! I couldn’t believe how quickly she picked up on it this time! All of the elements of this shoe-tying board were important to make the activity as successful as it could be: e.g. having two shoes together so I could demonstrate along side my child, including the verse on the board so that my kids (and I) could refer to it if we forgot what comes next, and having two-toned laces to help differentiate which lace we’re working on during each step. Also, I found flip-flops to be much easier to trace than sneakers since they’re completely flat. If you’re looking for some help teaching your child to tie his or her laces, I hope these tips and trick help you as much as they did me! Have you already taught your children to tie their laces? What worked for you? I love this and think I will try it out on my 3 yr old. Your daughters dress is so pretty!! This is so cute and such a great idea! You’re awesome for making this for your kids! Love this. I plan on using a board and gluing/knotting the lace to it so that the lace doesnt dissapear.. great idea! Found this on Pinterest, love it! love it! thanks! coloring half of the lace – genius! I love this shoe tying idea. I work with special needs kids so this will be perfect for them. Thanks! What a great idea and wish I had something like this when my children were learning this skill. I’m going to share this cute idea with teachers! What do kindergarten and first grade teachers do all day when it’s back to school time? Tie shoes! (I know, been there done that.) This is great for a learning center! The kids can even memorize and read the little poem. going to share, pin and tweet this one. what hole punch did you used? I work with autistic students, and one goal I’m working on with one kiddo is shoe tying. He has a book with a shoe tying board, but I think the verse will help! I’m going to try it! Thank you, Chrissy, my son should really be too old for this (he is 12), but we have always avoided laces up to now as he has hypermobility and coordination difficulties and even tying a knot has been a bit beyond him until now. 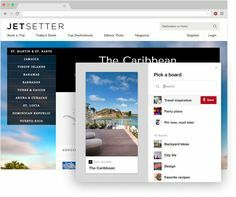 I am going to have a go using your design – you have thought of everything. I especially like your idea of colouring one half of the lace a different colour. Even though he is 12, I think he will like the verse because he will need it!